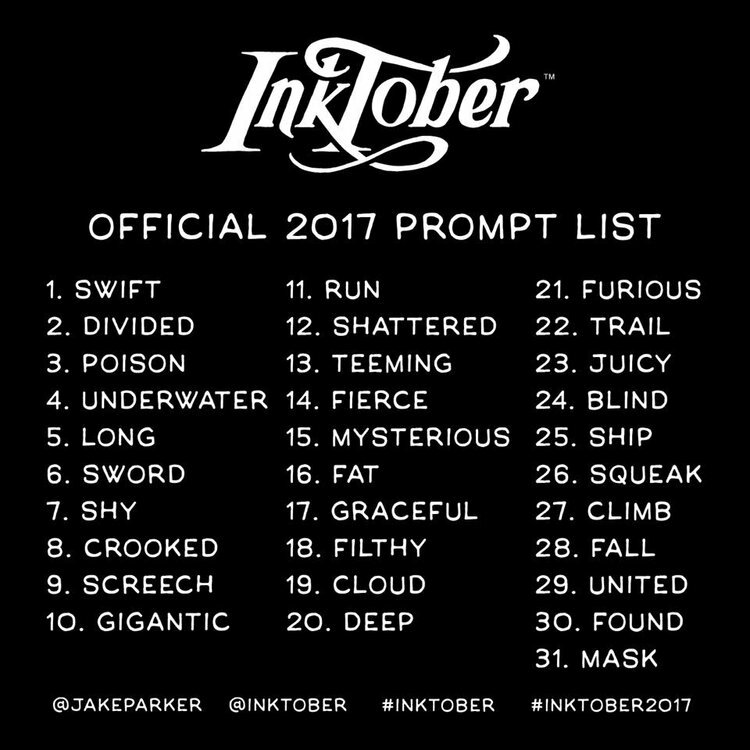 So, I’m a big fan of Halloween and all things monsterous, and beause of that all my Inktober drawings are monster themed (as opposed to 2016 where all my illustrations were ghost based.) Every day I find a different mythological monster to use in the sketch challenge. So.Much.FUN! 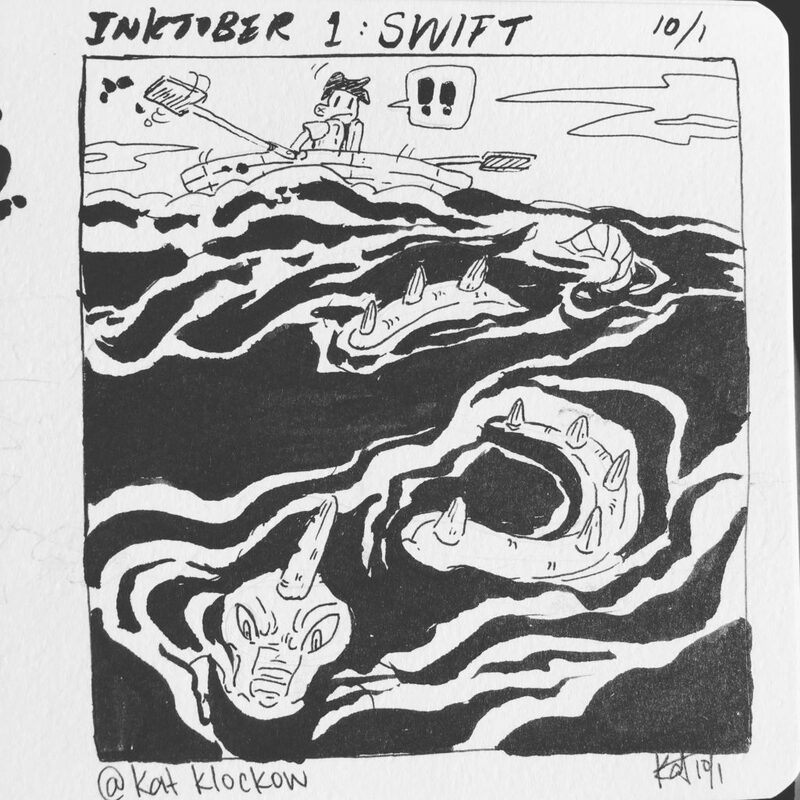 The first day’s challenge is “swift,” so I used a sea serpent swiftly swimming past a rowboat.